recommended for: Fans of eerie, atmospheric horror movies, like The Awakening or The Others. After the creepy thrill ride that was Dead House, I knew I had to snag Kurtagich's second horror adventure. 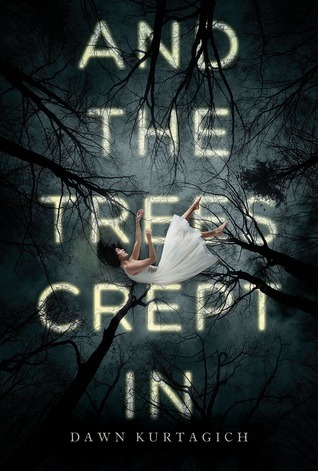 In the vein of Slenderman and other cringe-inducing (in a good way) urban legends, And the Trees Crept In is a sinister tale that worms its way up your spine and sparks chills that linger long after the last page. It's a strange, poetic, fragmentary, unsettling book, so this will be a strange, poetic, fragmentary, unsettling review. It's a chilling English nursery rhyme, a folk story of three sisters and the horror they wrought. It's also a manor house ghost story, the tale of two sisters escaping their abusive past only to find something darker haunting their steps. And it's a psychological thriller, the story of a girl and her aunt battling a madness that twists the boundaries between delusion and reality, leaving them--and the reader--tensely uncertain where the truth lies. Silla and Nori are memorable characters who clutch your heart quickly. Silla is the older sister, the protector, plagued by memories of the abusive father and fraught mother they left behind. Of a dark secret that's eating her alive. Nori is the baby of the family, mute but able to sign, vibrant and lively--the one light in a house shrouded in shadows. Aunt Cathy is well-meaning but beholden to the nightmares in her head, and Gowan, the strange outsider boy, offers love but also more secrets. These four souls are trapped in a blood-red manor surrounded by an ever-approaching forest. The plot is told in regular narration, flashbacks, rhymes, and slivers of Silla's ever-more-incoherent diary. The breaks and fragments have the effect of camera jerks in a horror movie, setting you off balance, preventing you from getting a clear sense of time, of place. Kurtagich's writing is raw, with a mix of lyricism and grotesquely carnal imagery that creates an atmosphere of the uncanny. The questions keep you reading, keep you tense and paging ahead. What's real? What's in Silla's mind? Who is the Creeper Man who hides in the trees? Where have all the outsiders gone? What's wrong with Aunt Cathy? Why are the trees moving? (Are the trees moving?) The bulk of it is Silla and Nori becoming increasingly isolated, warding off starvation, guarding themselves from a faceless, uncertain threat. 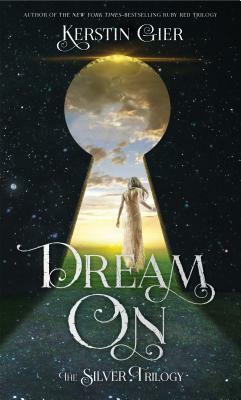 It's a hallucinatory dreamscape, a mystery in fragments with a shocking final reveal. The secrecy of it all means you don't always feel the characters as deeply as you might want. The relationship between Silla and Gowan, in particular, feels off-kilter, and Nori is less present than I'd like. The beginning is also very quick-moving; I wanted more build-up, more sense of normalcy before the drop. It's a lot shorter than it seems due to the pictoral nature of many pages, so I think there's room for expansion. In the end, though, it does just what a horror novel should: knock you over, drag you around, tease and whisper and finally punch you in the gut. If you're looking for a sleepless night this Halloween season, then welcome to the blood manor. And the Trees Crept In is a lyrical, atmospheric horror that draws you into its uncanny world and spits you out shivering. will i read this author again? Yes! Best YA horror writer I've read. Yay, thanks! I hope you love it! It's a very different kind of creepy than Dead House was, more slow building.